When it comes to stock trading, no strategy or amount of planning is ever perfect— be it that of beginners or professionals. So losing money everyday isn’t much of a surprise. However, the experienced traders are much closer to that optimal threshold than the rookies. Meaning, they lose less money when compared to that latter group. What kind of stock trader are you? Do you follow the best trading practices? Do you apply a stop-loss and take-profit? Do you do short-term or long-term trading? Do you use margin? Do you have a sound risk management strategy? Answer such questions. 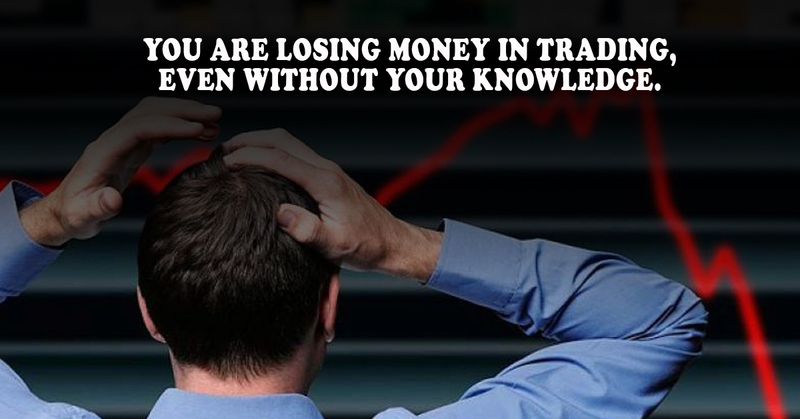 If you don’t qualify to be an expert trader, it’s very likely that you’re losing thousands in trading everyday—and that, without even knowing about it. Why and How You Are Losing Money in Trading? When you’re losing, you’re losing. But even when you’re making winning trades regularly, you aren’t getting optimal return. In fact, with your inefficiency, you’re leaving loads of money on the table. Contrary to what you may really believe to be the reason behind this, it isn’t some big mistakes that are stopping you short. You trading strategies aren’t “largely” flawed. In reality, it is often the small loopholes that, when combined together, leaks a great deal of money. And since leaking in small quantity – but consistently – you fail to recognize it. “Trading is like a baseball—consistency is the name of the game, base hits win games,” says one millionaire trader. “Take a break from the busy world of investing and do remember to spend quality time with your loved ones,” advises another top trader. While these comments and tips might sound too clichéd, when you’re in this game for a long run, it is following these practices that will separate you from the beginners and losing traders. When was the last time you said to yourself “don’t be greedy” or when was the last time you practiced sleeping well, eating healthy and working out? Do you journal your trades? Do you follow a daily routine? Are you consistent in your trading? Amending your small habits and adding basic ones to your lifestyle will collectively improve your Required Rate of Return (RRR). It will eventually turn you into an experienced (and smart) stock trader, helping you optimize your return significantly. It’s one of the biggest hushed “secrets” of profitable trading. Ask this to any expert and top traders. How to optimize your stock trading return? Start caring about your health—sleep well, eat healthy and work out. 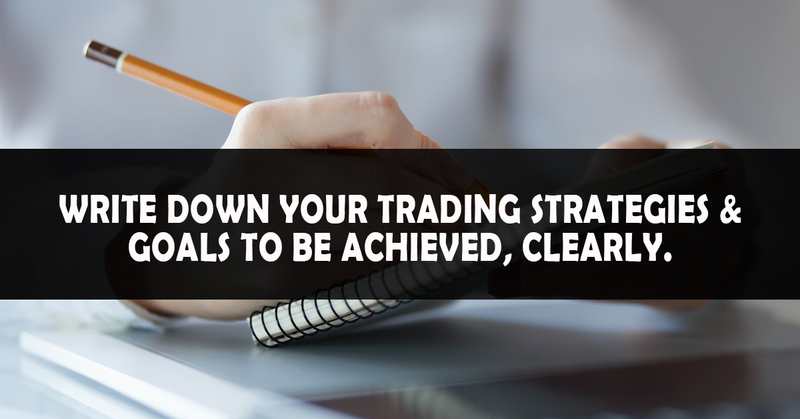 Write down your trading plans and goals very clearly. Never be greedy. Know when to stop. Stop caring about other traders’ opinions. Maintain a journal of your trades. Analyze your strategies by back-testing and forward-testing. Whatever is your trading plans and style, be very consistent. Have a sound risk management plan. Keep up with the latest market trends without falling for the fake news. All these, collectively, will improve your RRR. And it will eventually optimize the return from your every trade. Sure implementing these practices and habits is easier said than done. But if you’re looking to build a high-rewarding and sustainable stock portfolio, it is necessary that you fix the small loopholes and stop leaving money on the table.